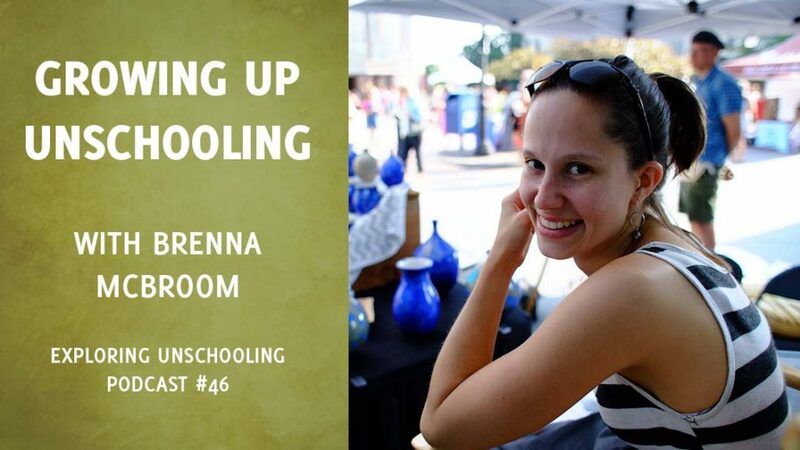 Brenna McBroom is a 27yo grown unschooler. We had a fun conversation and touch on her transition from school, to homeschooling, and eventually to unschooling; finding connections as a teen; how her passion for ceramic art developed; her experience at Not Back to School Camp as both a teen and as staff; her new blog, Millenimalism; and her (and my) experience that young adult unschoolers are generally self-reliant and living intentionally, rather than just following societal expectations. The unschooling lifestyle is a pretty unconventional one, which can sometimes be both awesome and challenging in turn. Can you talk about a challenge you encountered and how you guys worked through it? How did your passion for ceramic art develop? Can you share that journey and what it looks like today? The conventional parent-child relationship is often steeped in power and control, but unschooling encourages a different dynamic. Can you share a bit about what was your relationship with your parents was like growing up? And now as an adult? You recently returned from the Vermont session of Not Back to School Camp, a camp for teen unschoolers. You attended as a teen, and continue to return as part of the staff. Can you share a bit about your experience as a teen camper? What kept you going back? I saw that this session you ran a project called Deep Dreams: Unearthing, Mapping, and Achieving Your Hidden Ambitions. What drew you to that topic? Can you tell us a bit about how it went? This year you started a blog called Millenimalism. What was the inspiration behind that? What stands out for you as you look back on your unschooling years? What, from your perspective now, do you most appreciate about living an unschooling lifestyle growing up?